Canadian Sport Centre Manitoba > Updates > Blogs > What’s your New Year’s Resolution? Are you starting to wane, or are you holding strong? Resolutions often vary from the far-fetched to the easily achieved. As a kid, did you ever try to resolute to not do homework? A bit unrealistic. What about the resolution to tidy your room once a week? That’s definitely achievable, although how realistic will vary kid to kid. As we mature, so do our resolutions. I’m going to get fit this year, keep the house clean, travel more, give back to the community. While the resolutions mature, how realistic they are can still vary. We’ve been told that more specific resolutions, like goals, are more achievable. Let’s take, “I’m going to get fit this year”. That’s a pretty daunting task and therefore easier to find excuses to let it wane. However, “I’m going to go for a walk after dinner each night”, or “I’m going to join a weekly workout class”, is much easier to visualize, plan for and achieve. Did you know that CSCM gives back to the community? Sports & Arts Program | This program, offered through Vincent Massey Collegiate, is a partnership between CSCM and Pembina Trails School Division. CSCM staff provide curriculum assistance with respect to their physical and health education. 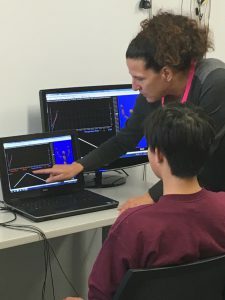 A current example is how in fall 2017, CSCM’s Director of Sport Psychology, along with one of her graduate students, lead six weekly sessions regarding mental health and performance for the Sports & Arts Program students. Internships | CSCM provides internships in sport dietetics, sport psychology, physiology and strength & conditioning. Interns come from both the University of Manitoba and the University of Winnipeg. 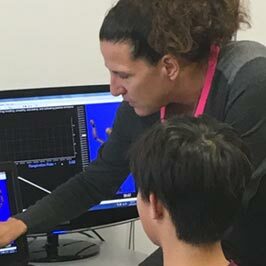 These interns are provided with an opportunity to learn in a practical and safe environment where they gain hands-on experience working CSCM athletes. 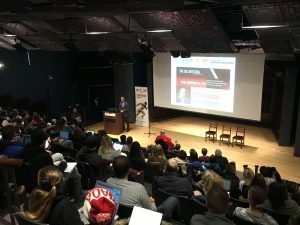 The Cal Botterill Lecture | This is an annual, free admission event, where CSCM brings in a speaker to inspire and strengthen the knowledge in our community. Throughout his career, Dr. Cal Botterill brought professionals to share knowledge with the sport community throughout Manitoba. The annual lecture series began in order to honour and continue his tradition. Volunteer | CSCM welcomes volunteers to assist with athlete workshops, provide guidance and assist with outreach/education. Click here to learn more about volunteer opportunities. Advocate | Were you an elite athlete? Do you know someone who has benefitted from CSCM or another sport centre/institute? Having members of the community to help spread the word about who we are and what we do is a valuable thing. Email info@cscm.ca to learn more about becoming an advocate for CSCM. 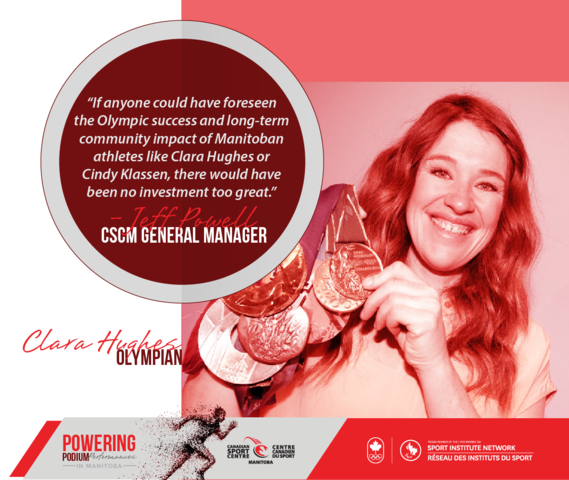 Become a Monthly Donor | CSCM was created as a legacy of the 1999 Pan American Games. And while 15 percent of our support continues to come from the Pan Am Legacy Fund, held at The Winnipeg Foundation, 85 percent of our funding is fluid. As you can imagine this is not conducive to success or growth – for the Centre or our athletes. A gift of $20 per month, for a year, could provide an athlete with four months of gym access. Click here to donate today, or visit cscm.ca/donate for more information.